Although it’s been nearly 16 years since the Concorde was retired, one iconic feature of the supersonic airliner is poised to return just in time for its 50th birthday. CNN reports that engineers are currently tinkering with the Concorde’s famous slanted “droop” nose in an effort to revive at least part of the last remaining Alpha Foxtrot model, which is currently housed at Aerospace Bristol, a museum in the U.K. The museum wants the nose to become fully functional again by the Concorde’s 50th anniversary, on April 19, 2019—while, at the same time, real plans to revive supersonic airliners of the Concorde’s ilk are gaining traction across the aerospace industry. The Alpha Foxtrot has been a mainstay at Aerospace Bristol since its arrival in 2017. 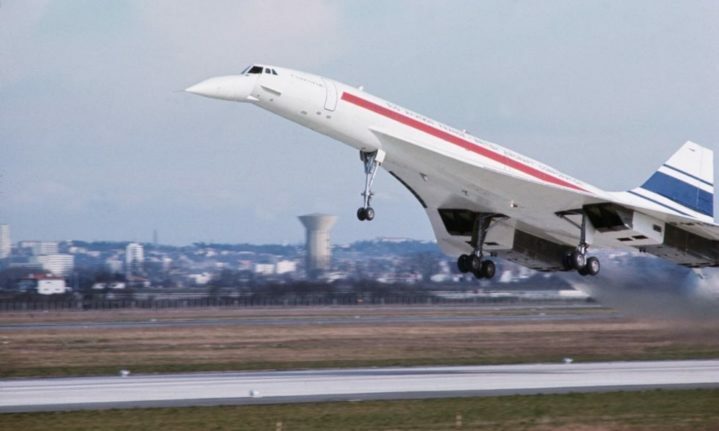 A creation of French Aérospatiale and the British Aircraft Corporation (BAC), the Concorde was renowned for serving British Airways flights between London and New York at twice the speed of sound. The plane’s drooped nose had the ability to lower itself so pilots could better see runways upon takeoff and landing. The Concorde was billed as the future of commercial aviation back in the late ’60s. But soon thereafter, it encountered the numerous problems that led to its demise. The plane was noisy as it broke through the sound barrier and created sonic booms en route to Mach 2. The fatal crash of Air France Flight 4950 in the year 2000 also hastened the aircraft’s end. The Concorde saw its final flight in November 2003. Since then, supersonic commercial air travel has been in limbo. But that hasn’t stopped aviation enthusiasts from remembering the Concorde and striving to bring it back. CNN reports that volunteers and engineers at the museum plan to use the old aircraft’s original electrical system, and have installed “new cables and a transformer.” A new motor and power pack “will deliver 3000 psi of hydraulic pressure to the nose,” according to the report. After the plane’s 50th birthday, museum visitors might not be able to jet through the ether at a mind-boggling speed onboard the Concorde, but they’ll get a taste of what it looked like in flight. Supersonic Airliners Are About to Take Off. Again.